Purposeful looking motor yacht with similar lines to a small Nelson hull but with the benefit of a good sized superstructure to make her a spacious and useable boat below. 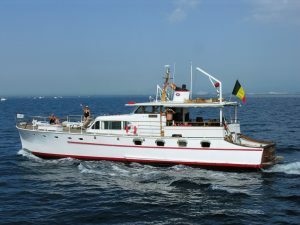 Built in 1968 on the East Coast, she has been used for many years to cruise the Solent and surrounding coasts with occasional trips to France. Divided accommodation with an aft cabin and fore cabin which is unusual in a boat this size. 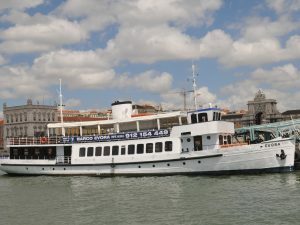 Survey available from 2010. 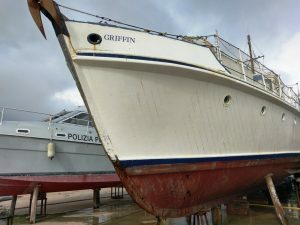 She has been antifouled and painted this season, engines have been serviced and she is ready to be used for the rest of the Summer. 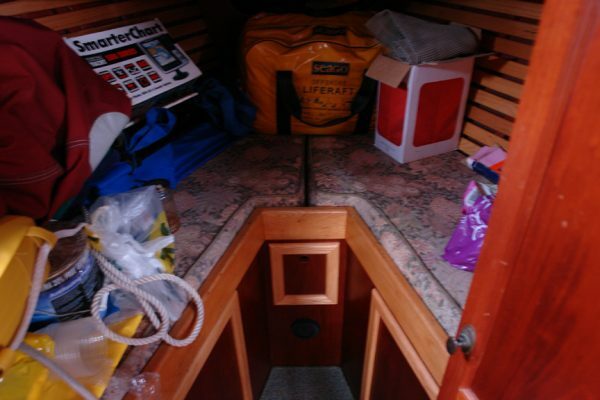 Interior and superstructure re-furbished and re-built in 1990’s. 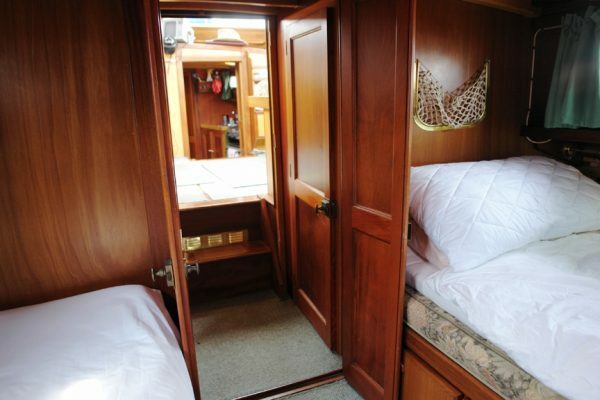 Brazilian mahogany planking above the waterline, larch below, all copper rove fastened to steam bent oak timbers. Grown oak floors. External iron ballast keel with iron keel bolts. Finished with a heavy rope rubbing band around the gunnel. 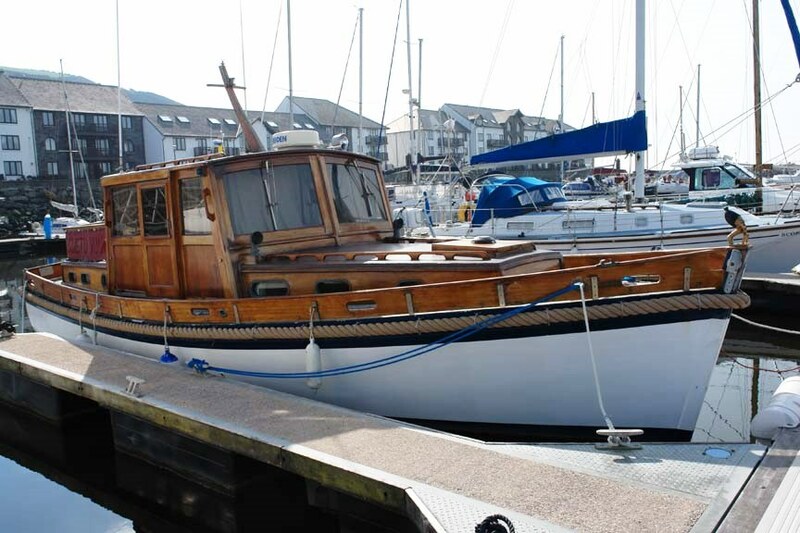 Yacht laid iroko deck joggled to a king plank screw fastened to a marine plywood subdeck. Seams payed with Sikaflex. Varnished mahogany bulwarks all round with freeing ports, supported at the forward end with stainless steel straps. Mixture of bronze and galvanise deck hardware. 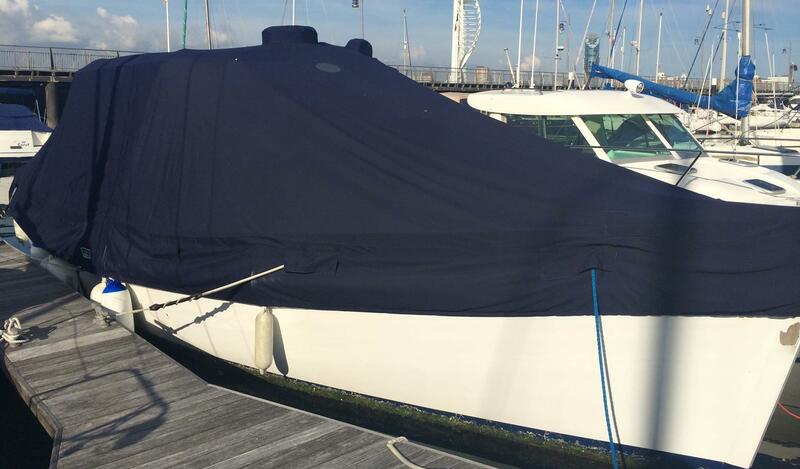 Stainless steel dinghy davits. 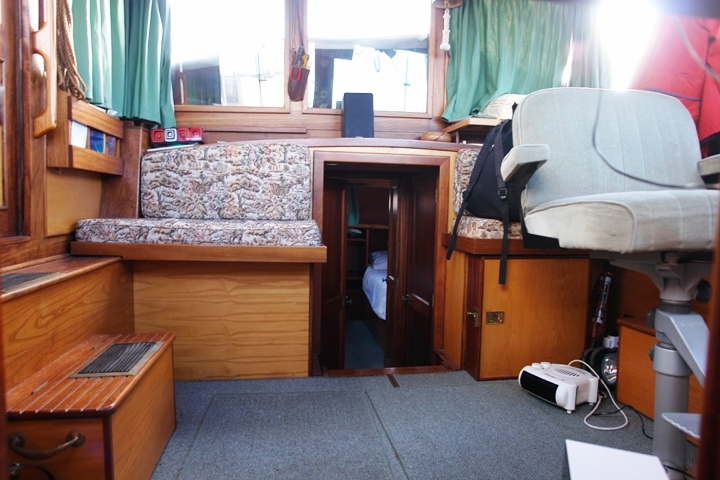 Large central wheelhouse with fore and aft coachroofs giving headroom throughout the boat. 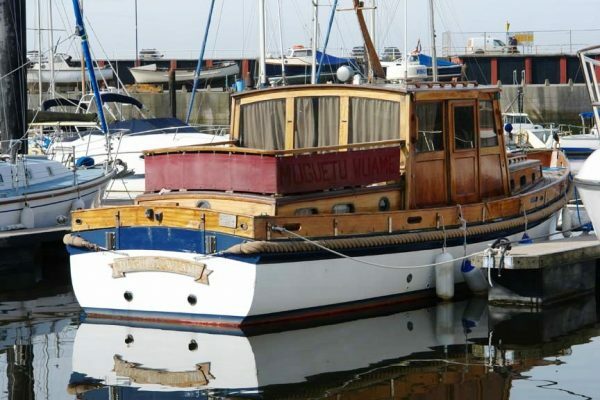 Superstructure in varnished mahogany, re-finished in 2015. 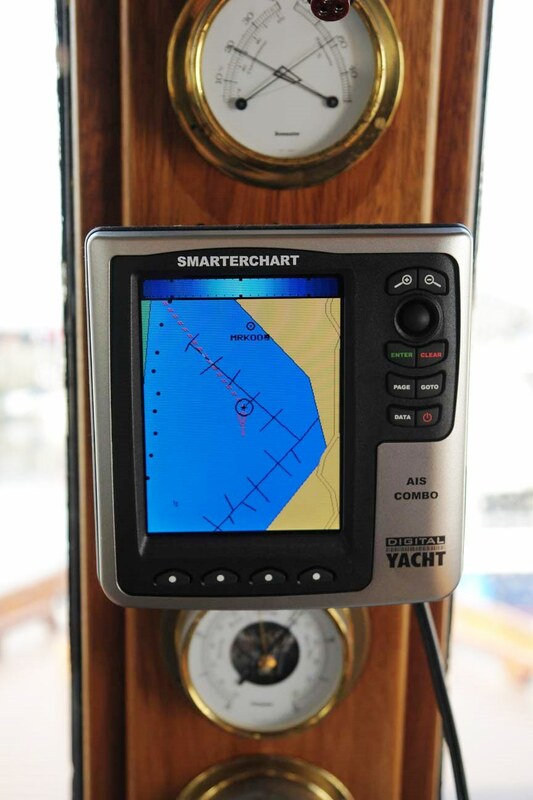 With on-going work Spring 2016 to bring the vessel up to a high standard. Coachroof coamings with bronze oval portholes. Coachroof decks are marine plywood sheathed in GRP. 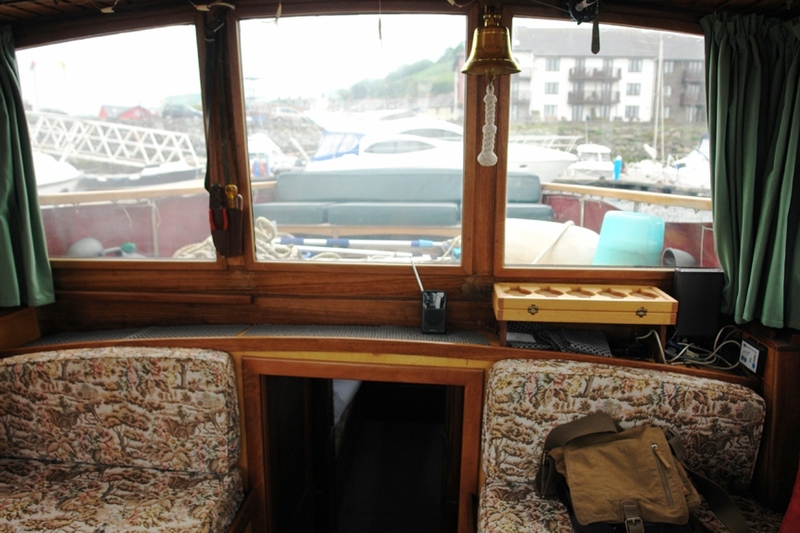 Seating area on the aft coachroof with guard rails round, capped off with a varnished mahogany handrail. 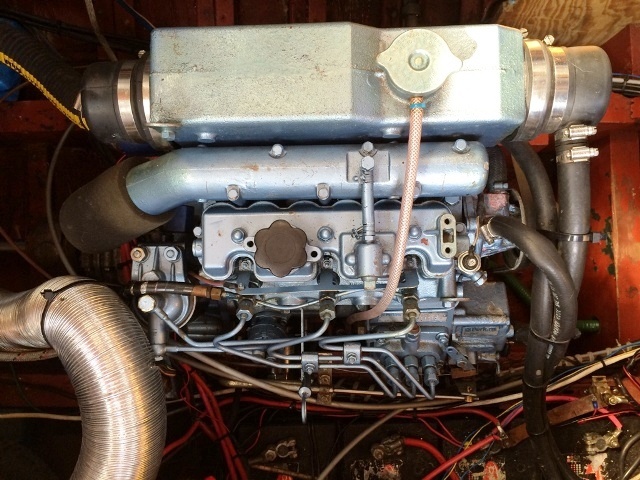 TWIN 35hp PERKINS PERAMA DIESEL ENGINES installed new in 1991. 630 hours recorded. Hurth gearboxes to stainless steel shafts to 3 blade bronze propellers with external P-brackets. Recently serviced. 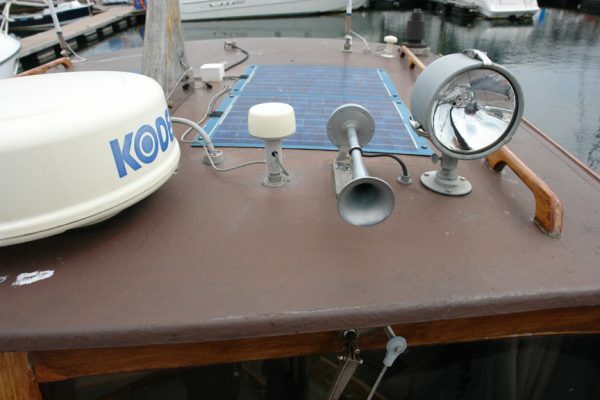 12 volt battery bank with dedicated engine start batteries for each engine and a domestic bank. 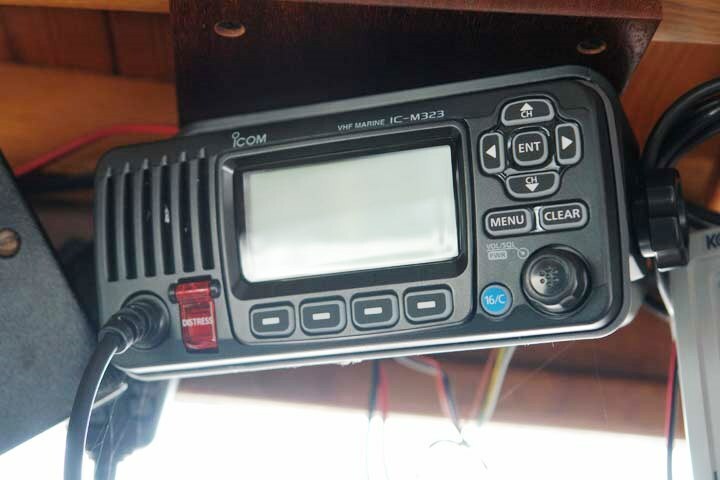 Charging from both engine alternators and a charger when connected to shore power. 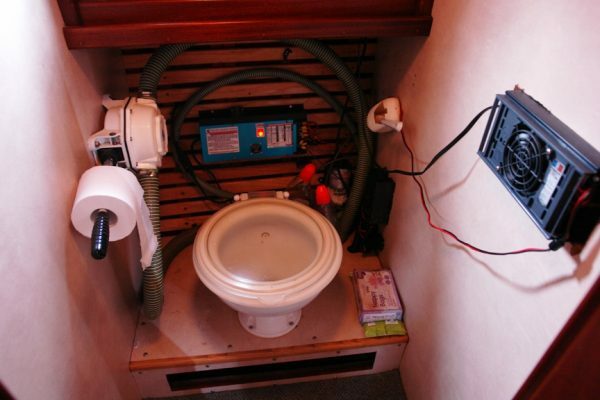 400 litres fuel capacity in 2 separate tanks, 800 litres water capacity in 2 separate tanks. 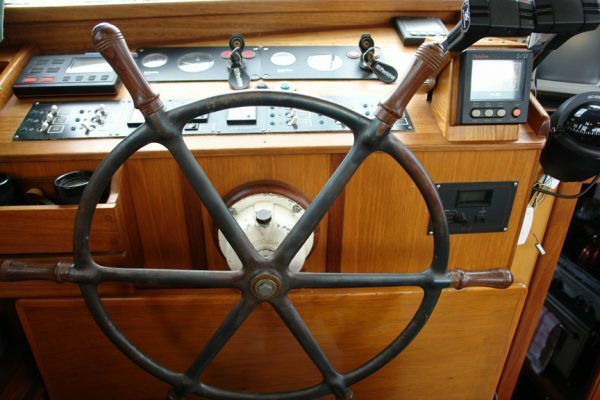 Bronze spoked wheel steering with, Vetus hydraulic system to a centreline steel plate rudder. 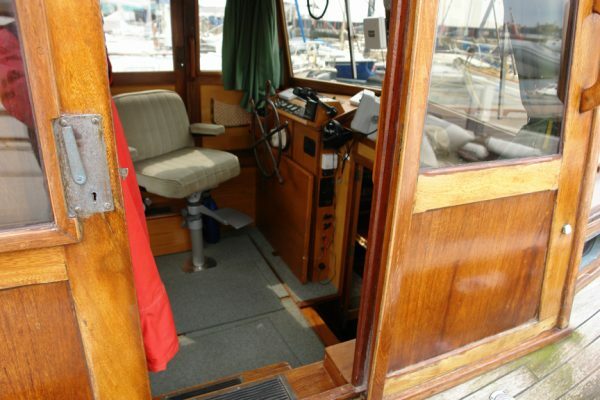 Large, double glazed wheelhouse with great visibility all round. Wheel steering to port with clear engine controls and navigation instruments. 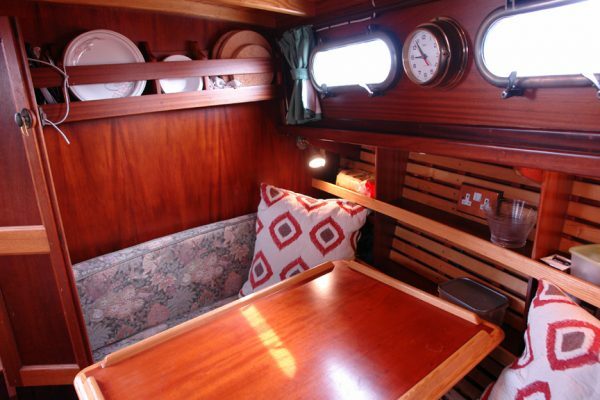 Seating at the aft end, central companionway going aft and offset starboard companionway going forward. 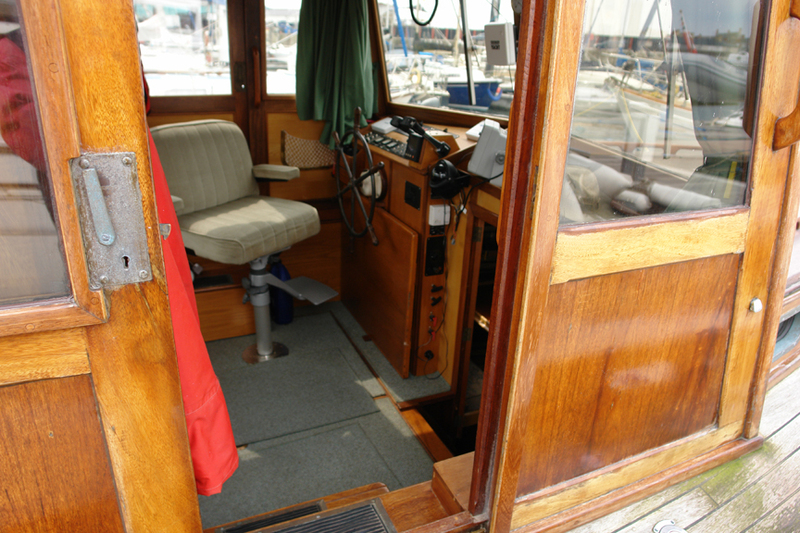 Entrance to the saloon is port side of the wheelhouse. Dinette seating area to port. 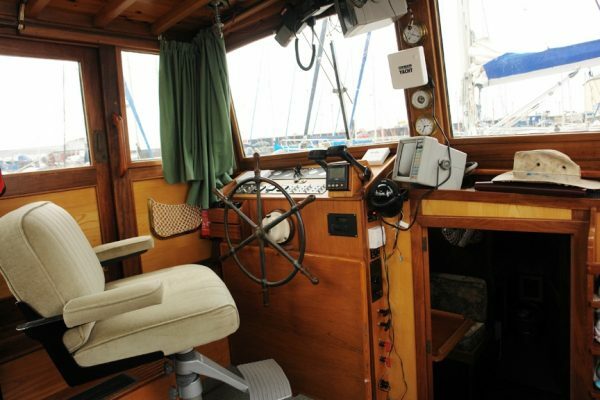 Galley to starboard. 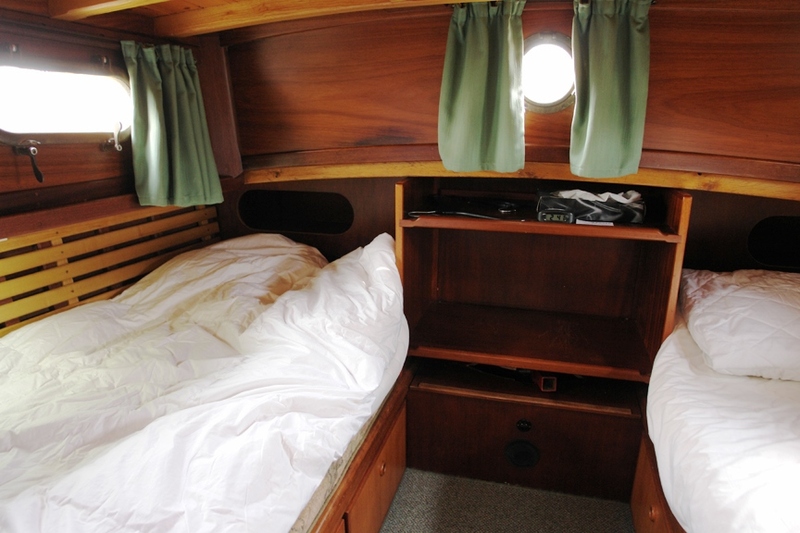 Aft Cabin with two good sized single berths port and starboard with central shelves and storage beneath the bunks. Heads compartment to port as you descend the companionway to the aft cabin with a shower to starboard. Lavac sea toilet, manually pumps directly overboard. 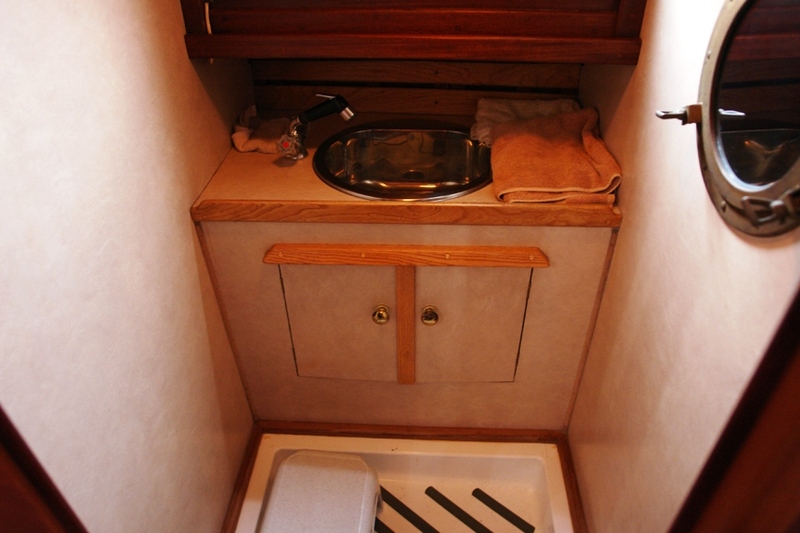 Shower with pressurised hot and cold water and drains to a sump tank that pumps overboard. Galley to starboard in the main saloon. 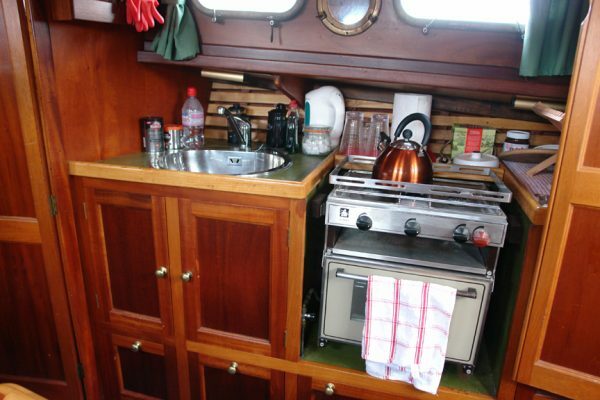 2 burner gimballed gas stove with oven and grill. Single stainless steel sink with pressurised hot and cold water. 12v fridge. Pantry and crockery lockers. Autopilot with handheld wifi remote. 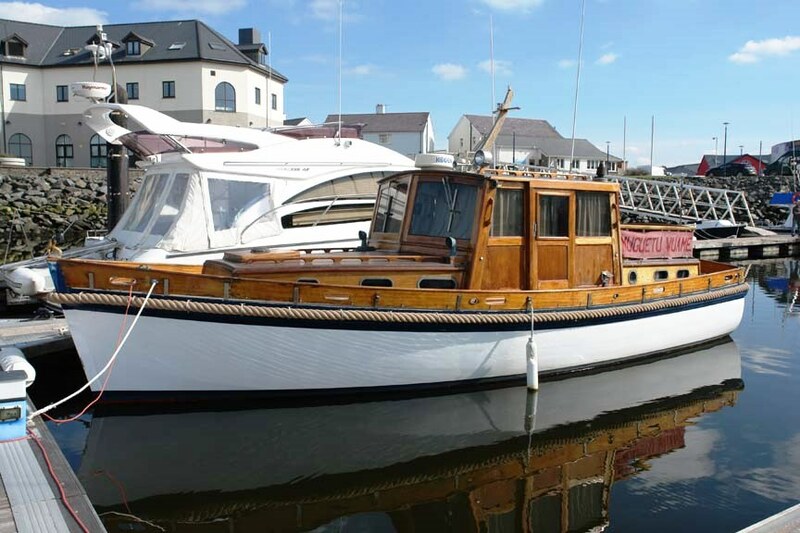 A well built and finished traditional motor-yacht offering classic style with capable lines for coastal, estuary and inland waterway cruising. All mahogany superstructure re-varnished Summer 2016. Previously sold by Classic Yacht Brokerage and highly recommended.